The White Continent is imbued with such beauty that words and photos seem inadequate to relate the full scope of the experience. 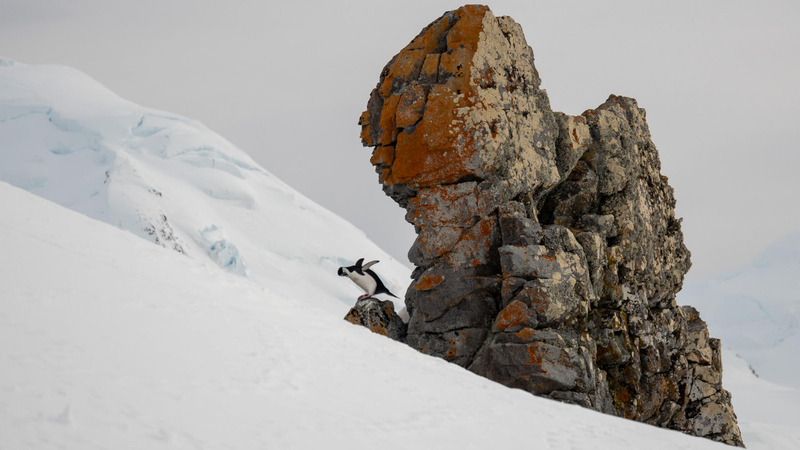 That’s in part because aside from its natural beauty, Antarctica piques the emotions in ways that are difficult to convey. Difficult, because these particular emotions are too rarely accessed in our busy lives back home. They are emotions inspired by the natural beauty of our world in its purest form. You may have seen, for example, photos of penguins nesting on their eggs against dramatic snowy backdrops and ice-choked seas, but when a Zodiac brings you ashore to a place uninhabited by humans, where the cacophony of penguins and petrels are among the only sounds piercing the silence, and there you are clad in a parka, thick gloves and snow pants to guard against the bracing Antarctic chill, it is quite a different feeling than you get when looking at a photo. You find yourself suddenly struck with emotions that bring some who have stepped ashore here to tears. 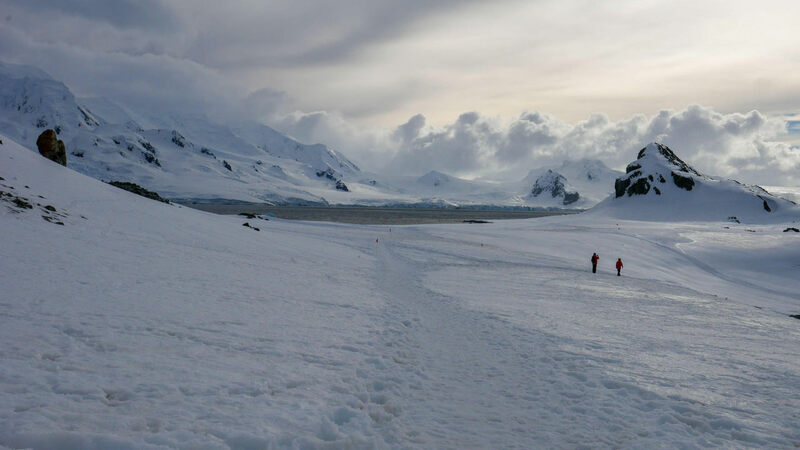 Having been to Antarctica on three voyages now, I have felt it myself and seen it in others. With your eyes trained on the scene in front of you, you breathe in the purest air that has ever passed through your nostrils, and it feels as though the air is cleansing your body of any impurities ingested in the world beyond this snowy place. With no effort, no need for meditation or yoga or deliberate concentration, you are living mindfully and in the moment. There is, quite frankly, no other place that you’d rather be. How could there be? Down here, there are moments, many of them, that cause you to gasp in awe. Even experienced expedition leaders, who have visited the polar regions many times during their long careers, become as children seeing Santa Claus for the first time. 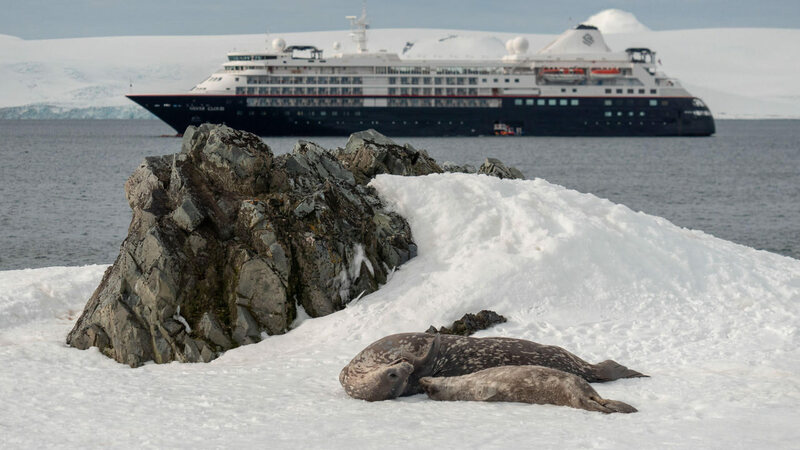 “What I love about Antarctica is that you never know what to expect,” said Silversea expedition team member Lex van Groningen, as we stood watching a mother Weddell seal nurse her young calf. 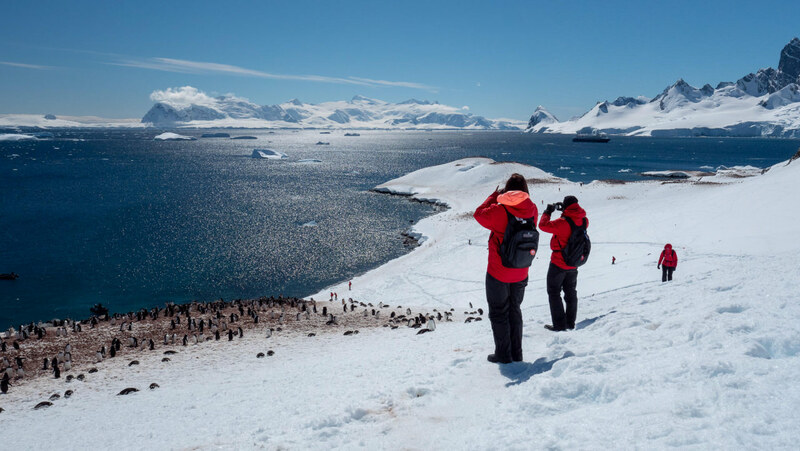 Through several posts and dozens of photos here on Avid Cruiser during the next few days, I’d like to take you along on a journey to Antarctica aboard Silversea Cruises. We will start our journey in Santiago, Chile, followed by Punta Arenas, where we embarked Silver Cloud. We will then sail to the Falklands and across the Drake Passage to spend five glorious days in Antarctica. 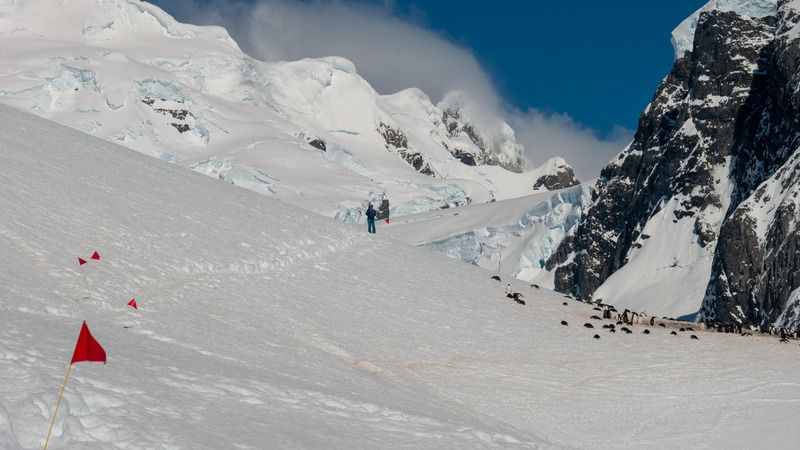 We’ll cross the Drake Passage to get back to Ushuaia, Argentina, where our 11-day Antarctic cruise concludes. As I write these words, I am midway through my trip. It is Saturday, November 17, 2018, and I am sitting in the aft Panorama Lounge on Silver Cloud, anchored just off of Cuverville Island. All around the ship are soaring snow-clad, rocky peaks. The sun, which rose at 3:30 this morning, casts a spotlight on sharp mountains that look as though someone has dumped a jar of powdered sugar on them. In the sea are big chunks of floating ice, more than I can count, some larger than houses. Where the ice meets the water line, the sea appears to be Windex-blue, the result of compressed air. On one sheet of ice, two Weddell seals are sleeping in the sun, no doubt tuckered from foraging in the sea. With temperatures just below freezing, yet full-on sun, there a few dozen guests outside on the teak decks, composing photographs or just taking it all in, sans camera. Light jackets or sweaters are enough to break the chill. 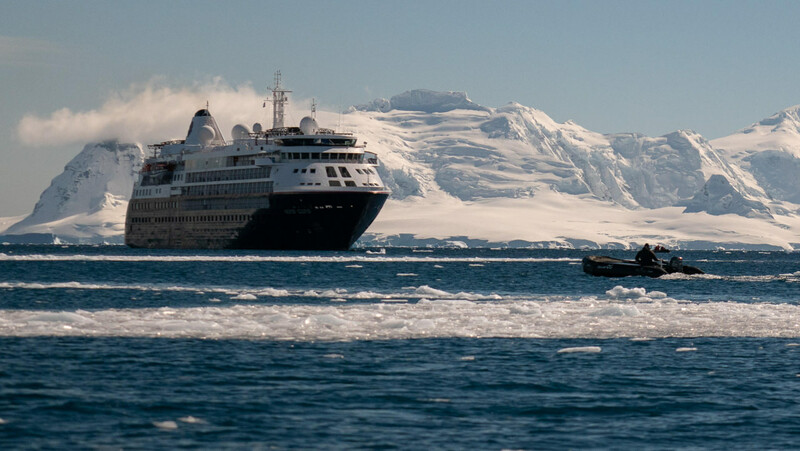 Later, we’ll need our parkas, which Silversea provides to guests (you can take them home, in fact) for an hour-long Zodiac cruise through the ice and along the shoreline. Following that, we’ll step ashore for an hour or so before returning to Silver Cloud. All around the ship, smiles seem permanently etched. It is a great day to be alive and in Antarctica. 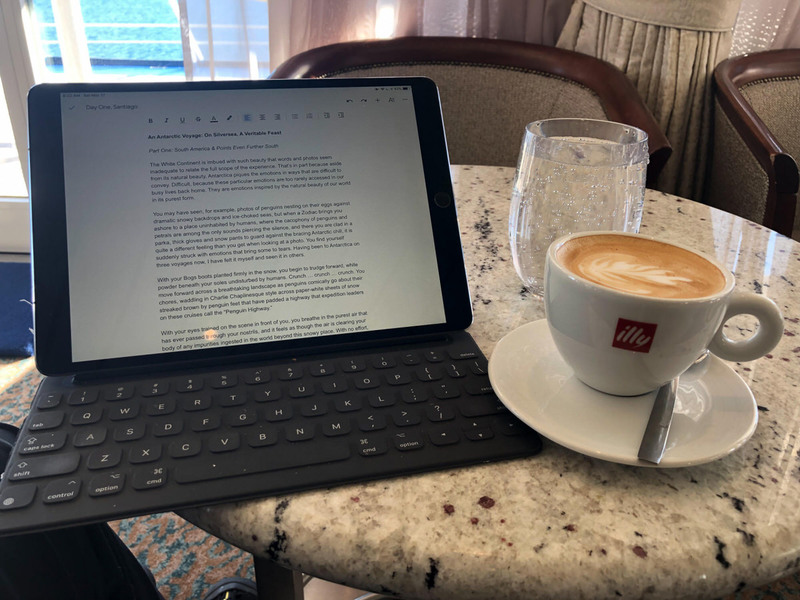 Now, though, I am sitting at a floor-to-ceiling window sipping a cappuccino that was brought to me by Francis, a Filipino waiter who has six years with Silversea. He briefly steps outside to snap a selfie. All smiles upon his return. 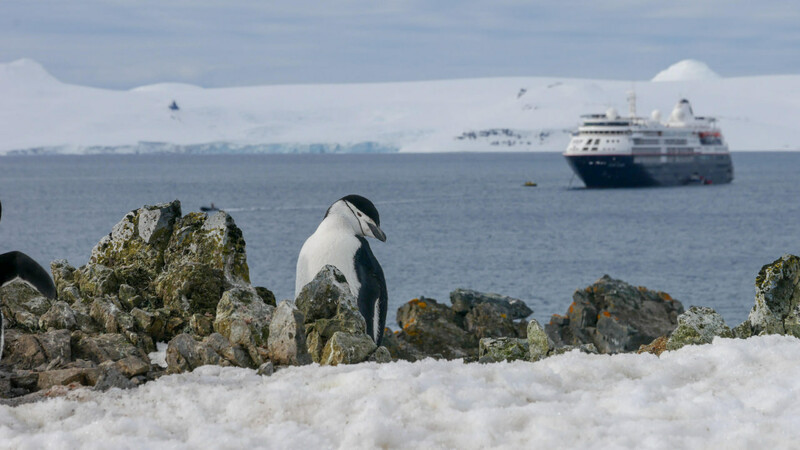 No one is unmoved by Antarctica’s beauty, even those, like Francis, who have seen much of the world working on ships. I should take a moment to elaborate on that cappuccino. Everything about this cruise is six-star luxury. The coffee used to make that frothy cappuccino, for example, is Italy’s Illy brand (reflecting Silversea’s Italian heritage). There’s no charge for the cappuccino. There is no charge for anything much, other than spa treatments, the shops, and a few other experiences, such as dining at La Dame. More on that later. Being an ultra-luxury, all-inclusive cruise line, Silversea also includes all beverages, so when your mouth goes begging for champagne, you get true champagne. Even as someone who has spent nearly three decades cruising, it still amazes me that we can visit such a remote place as Antarctica, and yet return to a floating boutique hotel with plush accommodations (ours features a veranda), butler service, four dining venues, 24-hour room service, an expansive spa and fitness area, shops, bars and a staff that could win awards for courtesy, hospitality and professionalism. 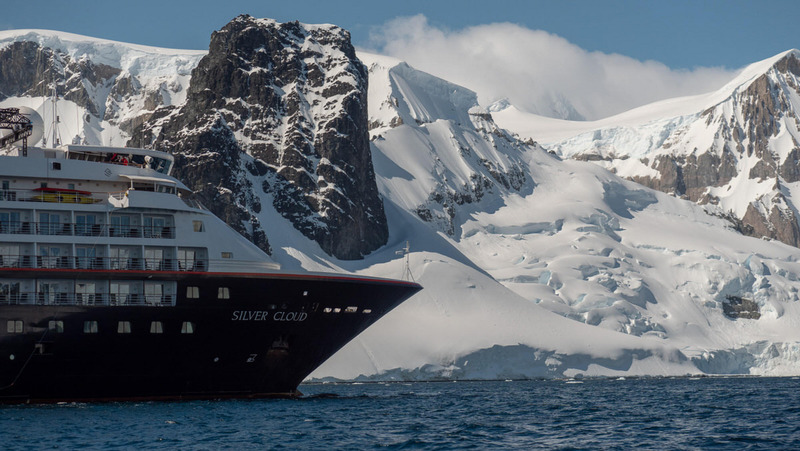 For the next several posts here on Avid Cruiser, Silver Cloud will be our home, and Antarctica will be our backyard. Excited to experience it all? I am. 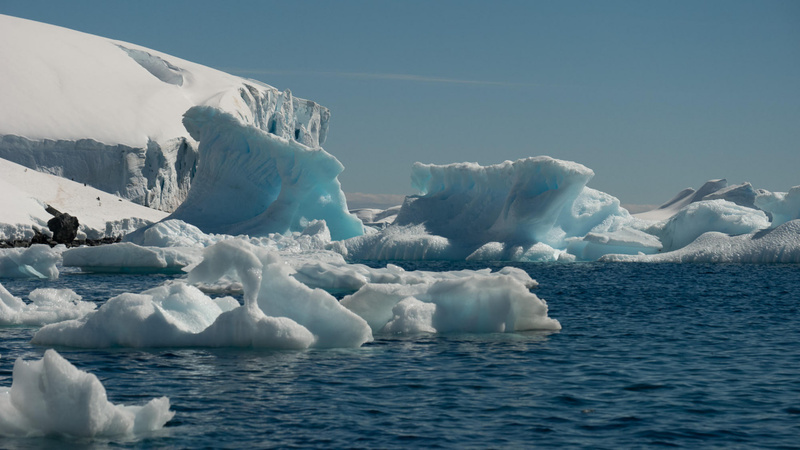 Before we don our parkas and boots to step ashore, though, let’s look at the constituent parts of an Antarctica cruise. 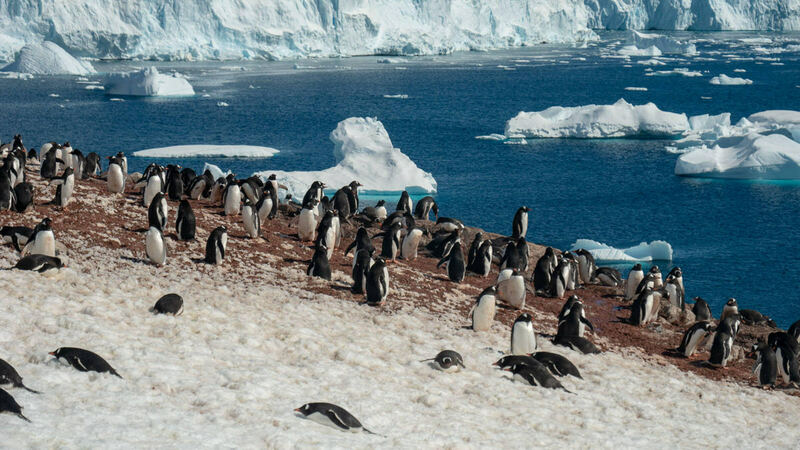 In order to do just that, I’d like to ask that you imagine an Antarctica cruise on Silversea as a veritable feast. In the posts that follow, we’ll savor a five-course meal course-by-course. Shall we begin? Tune in later this week for South America & Points Even Further South. Wow – the onboard WiFi is good enough that you were able to upload these pictures? I am on the Nov 22 Silver Cloud sailing and have been wondering how cut off from everyone I’ll be. Your post has me even more excited! The Wifi was good enough for my daughter and I to Skype for 30 minutes. It has been remarkably good.